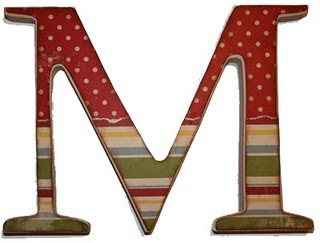 Custom Name Letters - This adorable M started off as your standard white letter. Scrapbook paper was used to add some pattern. A great alternative to paint, scrapbook paper comes in a ton of different patterns so you are sure to find one you like that coordinates with your decor. Try choosing a paper that ties into your color scheme, but it doesn't have to match perfectly. As long as the colors are in the same family its ok if the pattern is different. To make this letter, just lay it face down on the paper and trace. Then, carefully cut out your template and apply to the letter using decoupage. You can layer the paper, or do alternate letters in different patterns to add some punch. Monogram Wall Decals - Easy to apply and a great alternative to paint, name decals are available in a ton of different options. My favorite place to look - etsy.com. 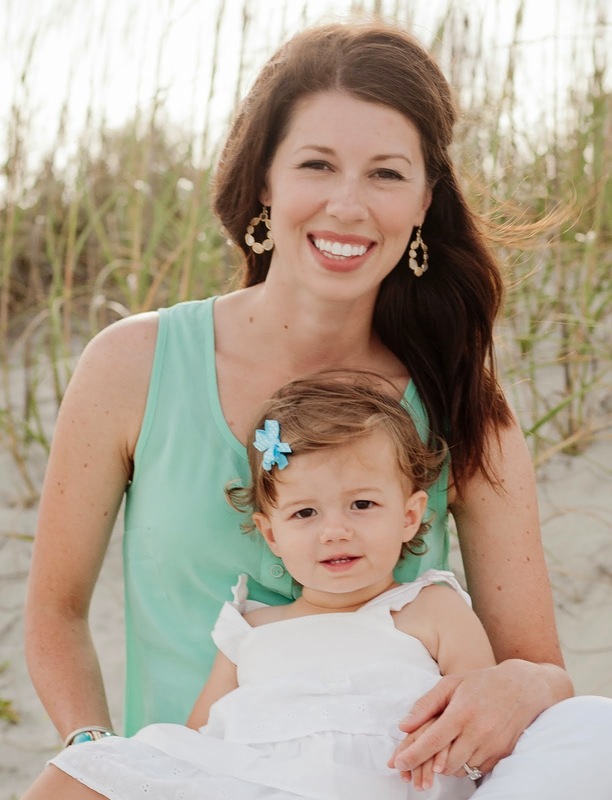 With endless choices and sellers that are happy to customize things the choices are almost overwhelming. Mix 'n' Match Letters - This one is fun for a vintage feel. 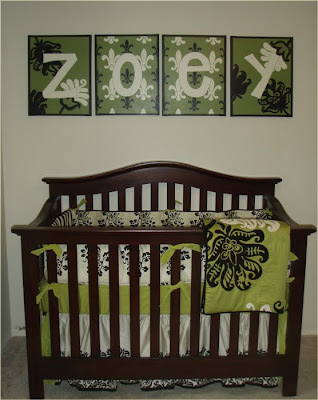 Gather mix match letters from Hobby Lobby, Marshalls or even flea markets for a truly custom look. Think outside the box on this one - if you are lucky enough to have an "O" in your name the possibilities are endless! Custom Logo Mobile - This one came from a creative friend of mine. 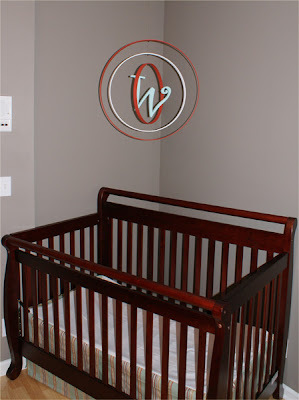 She designed this custom "logo" mobile for her son's room and I love it! For step by step instructions on how to create your own, click here. 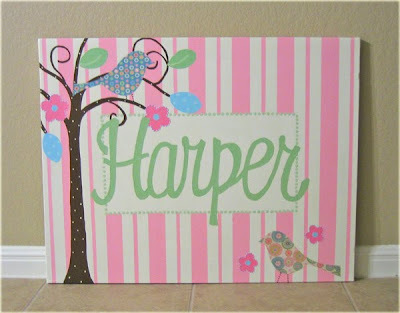 Personalized Canvas Art - Last but not least, one of my biggest sellers is personalized name artwork. 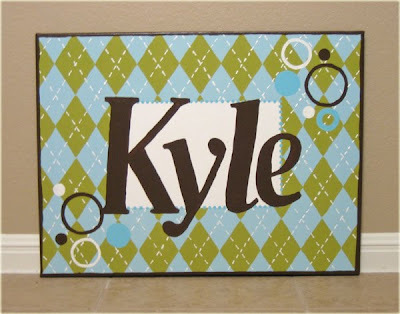 I can design one canvas for the entire name or multiple for each letter and rest assured, each one is unique! For info on prices for name artwork, click here.